As a resident of Maryland and a PEPCO customer, you have the ability to shop and switch to a lower electricity supply rate than what PEPCO offers. Below you will find the PEPCO “Price to Compare” as well as competing rates available in your area. Switching is 100% free and can be done in just minutes. By default, all customers in the territory receive both the supply of electricity and the delivery of electricity through PEPCO. In order to capture electric prices below that of the default PEPCO utility, customers are able to switch to retail electricity providers. These providers will charge you for the supply of your electricity. After switching providers, your electricity will continue to be delivered and maintained with the same reliability by PEPCO. 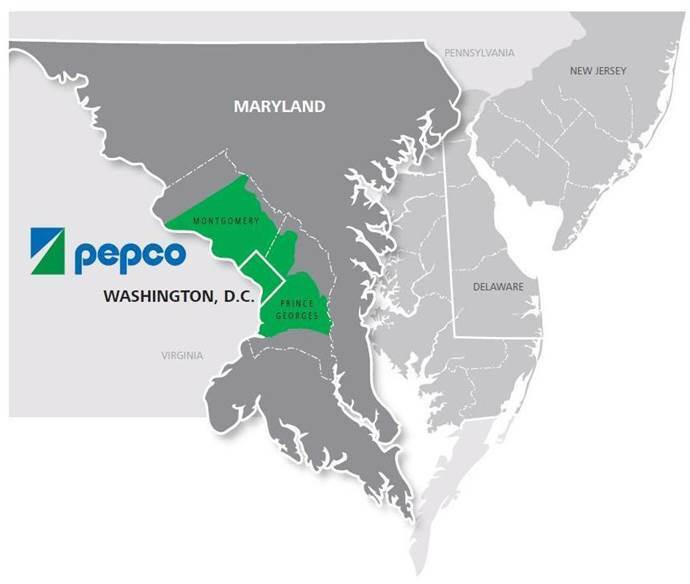 PEPCO is a subsidiary of Pepco Holdings, Inc. and has been providing electric service to the Maryland and Washington Metropolitan area for 117 years. Their coverage ranges across 566 square miles in Maryland. Within that region, over 500,000 residential and commercial customers receive their energy from PEPCO. On the right side of this page, you will find a FREE Compare & Switch tool that presents the best available PEPCO electricity rates from providers in your area. Just type in your Zip Code and select PEPCO as your utility to see your options. The provider you select will need to know your account information, so be sure to have your most recent PEPCO bill on hand. PEPCO will immediately be contacted by your new provider. You will begin to see your new electricity provider on your bill after one to two billing cycles.